Stranger Things has been everywhere since Season 2 launched over the weekend. If you're not feeling fully creeped out by the show still, you could invite a bit of the Upside Down into your home to make you feel ill at ease every day. On Halloween, the weirdos at Firebox launched a special something that might do the trick. 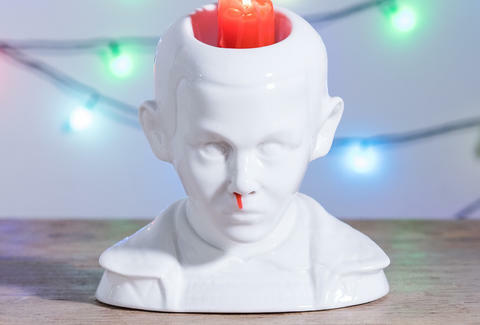 It's a candleholder in the shape of Eleven's head. 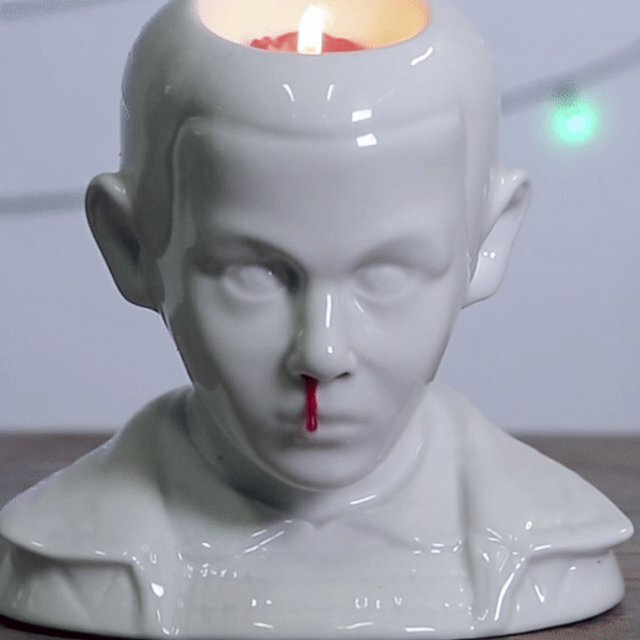 They're pointedly calling it the Eleven Bleeding Nose Candle. The package comes with a pair of red candles and when lit, the red wax drips from her nose as though she had just exercised her telekinetic abilities. While there's nothing underneath to catch the blood wax, the kit does come with a "nose picker" to help clear out the dried blood wax from her nose. The whole package runs $39.49 and is expected to begin delivering in early December. Just in time for you to give the strangest gift at your office holiday party. The UK-based store is taking preorders on the interesting decoration, and it ships to the US. So, buckle up, your house is about to get freaky.